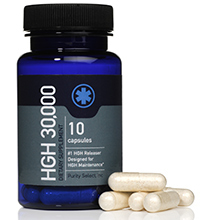 Get all the HGH benefits now as a simple, easy to use spray. The new advanced formula that we have developed is an advanced blend of HGH, L-group amino acids and Growth Factors, which give you a wide range of anti-aging benefits such as increased HGH levels, muscle mass, weight loss, increased energy and libido, greater stamina and more. This amazing spray also has one very critical component – Deer Antler Velvet, for increased anabolic effect. Discover how adults, the world over, are enjoying all the benefits of HGH with this advanced proprietary miracle spray. Take 2-3 sprays at night before going to bed. You can also take an additional 2-3 sprays in the morning, if desired for added benefit. Amazing product, I gained 30lbs in 30 days using this product. My strength gains were out of this world and I had not side effects what so ever. So thankful for these products. I'm 62 years old and need to lose weight. If I purchase HGH will it help me reach my goal? I would like to know what the exact difference is between the HGH 30000 and the Somatropinne? And which one is recommended if you want to focus more on mass gain, rather than anti-aging? I'm taking this after I took Somatropinne for 3 months and these two products really have turned my life around. I’ve never felt better. My back ache is gone and I'm more active. I'm 40 years old and feel like 30 again. Since i started this, I’ve been sleeping a lot better, but also been running, so not sure what’s what. But I would tell you to try it.